Take the entire family in a rented Econoline E-350 15 passenger van from Royal Rent a Car to the Miami Book Fair International, the finest literary festival, November 11-18, 2018 at the Miami Dade College's Wolfson Campus located at 300 N.E. 2nd Avenue. The street fair includes hundreds of authors, booksellers and publishers from around the world exhibiting their work. It's an educational and festive atmosphere for the entire family. 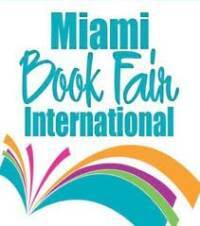 For more information visit www.miamibookfair.com or call (305) 237-3258.